Nowadays, it is almost automatic to equate huge traffic to the effectiveness of your online marketing strategies. Simply put; the more traffic you have, the more effective your marketing strategies are. This belief is packed with plenty of truths. This is the main reason that most Internet marketing strategists are aiming to improve their traffic as the main goal of their marketing efforts. But how do you exactly boost your website ranking? What are the different marketing strategies that will bring in more traffic to your site and therefore, increase the number of your leads and sales? Find out the answers by reading the following items. Some of the most popular websites in the World Wide Web today are social networking sites such as Facebook, Twitter, Google+, and LinkedIn. There are a lot of ways to use social media to your advantage. The key here is to engage people through posting high quality, interesting, and relevant contents. Moreover, you must remember to add social media buttons on your content. This way, your readers can easily share your blog post to social networking sites. You will be surprised how your traffic can easily increase with this tip. Before people will keep on coming to your website, you must first make sure that you have something that is worth of their time. Internet users are impatient and they are only attracted to useful and relevant content. If your posts are of low quality, then it is more likely that they will leave your website as soon as they realized you are wasting their time. Furthermore, you must add content in a regular basis. Your traffic can easily go down if you do not keep your website updated or there is no any recent activity going on in your webpage. Your website should have an option where people can enter their email address so that they can be updated with the recent events surrounding your website. The mailing list can also be a great tool to keep in touch with your readers. It is very important that you send personalized message such as addressing your readers by name. An email message can make people feel important and valued. Since you give time to reach them, you are showing them that you are willing to exert extra effort to build good relationship. A mailing list can also be used to promote an event, product, or service in times you need to do so. Your content should not be limited to text, but you must add other types of media such as audio and video. People are more engaged when they can hear and see you. In addition to this, search engines also consider images and videos when providing search results to Internet users. This way, you are not just limited with just plain text, but you can be found as well through the images and videos you uploaded. Search Engine Optimization is a timeless Internet marketing strategy. It never goes out of trend and most Internet marketing specialist use this strategy to ensure heavy traffic to their website. While it is more important to add high quality content in your site, it will become more effective if you will couple it with SEO. Take time to learn SEO or better yet, hire an SEO specialist to better increase your chance of success. Undeniably, there are other strategies out there that you can use. However, all these strategies can easily overpower you because of its complexity. Thus, it is advisable that you start with the tips mentioned here and later, apply other more complicated strategies. Interesting read. The article does justice to the title. The strategies you discussed are really ‘effective’ to get traffic and boost rankings. The most important aspect is writing quality posts consistently. One should make sure that the posts addresses the basics of SEO well! Social media signals, it is being said, influences standings in SERPs. So, making presence felt on social sites becomes necessary. Thanks for your comment, Arun! As per my experience Social media sites are the great source for traffic. Thanks for your feedback, Yogita. Hello everybody! Thank you for your comments. Social media really takes a big part in marketing today. It is one of the best sources of traffic for one’s website. Above all, content is the most important in every marketing plans. All aspects listed above are very essential for a successful marketing campaigns. Have a nice day! Thanks for your contribution here at NPI blog, Karrie. Wonderful post, Indeed social media is really awesome way to improve or boost the marketing strategies. And yeah posting of high quality content is really important in online marketing strategies. I love marketing with social media. It’s so easy and effective! Hi Karrie, this is the nice post you share here, as a blogger i know if you become a successful blogger, effective marketing is most important for every blogger. Thanks for sharing your thoughts, Denis. Having a highly engaged mailing list is probably the most important out of all the items listed. If you have that, then you have an audience for life that will visit your content whenever you ask them too. And it’s not subject to the whims of Google algorithm changes or anything like that. Mailing list is really a source of traffic and loyal readers. Hi Karrie Morton, I really love this post. Love the way you write your posts. The information in this article is really unique and useful for me. After reading this article, I think I have some ideas for myself. I do follow your articles recently. Thanks for sharing this post. Hope to read more interesting information from you. Have a nice day. No problem social media really helps to get more traffic and develop marketing strategies. So all we need to know is how to use them. I am still pure at using mailing list…. Great post! Well no doubt social media is a great way for effective online marketing. But I never tried any email list building yet though recently purchased an email responder. You should start now building your mailing list, Itender. This is a very important source of traffic and loyal readers/followers. Online marketing is not easy thing that we think. Your tips are really Good. Hope I will try this next time. Thanks for stopping by, Tanmoy. Google has become so hard nowadays to get a high ranking from..to grow backlinks naturally people have to see your content….if you cant be found you wont get any backlinks or grow your authority…. Be sure to write quality content, Julian! And never worry again of future Google updates. Interesting read. The content does justice towards the title. The methods you talked about are actually ‘effective’ to obtain traffic and boost ratings. The most crucial aspect is writing quality posts consistently. You ought to make certain the posts addresses the fundamentals of Search engine optimization well! Social networking signals, it’s being stated, influences standings in SERPs. So, making presence felt on places to waste time is needed. Social media can be an easy way to market a product, website or service. Just be sure to do it well! quite good knowledge with experience. Appreciable guidance. I will follow it, and definitely it will work if done in a right way. Information rich content really good for site ranking. Using social media and improving the quality of your content is probably a good way to start this. This is what I do and seems to work quite well. I also believe the rest will work as well. Thanks for sharing them here, Karrie. Excellent, Too many people ignore step 1 (see your comments). I’ve seen large enterprises that wonder why they aren’t ranking and it’s usually due to ignoring the first step. By the way you can put step 2 and 3 together to stay with your top 3 tips. Nice information you have shared here thank you so much. Yes. 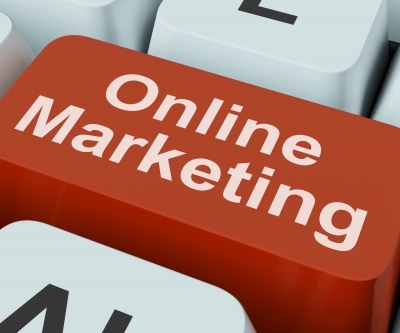 These are all effective online marketing methods. Wonderful post, Indeed social media is really awesome way to improve or boost the marketing strategies. thanks for sharing the informative article. High quality posts always matters a lot for online marketing and I guess you’ve shared some absolute points for online marketing.